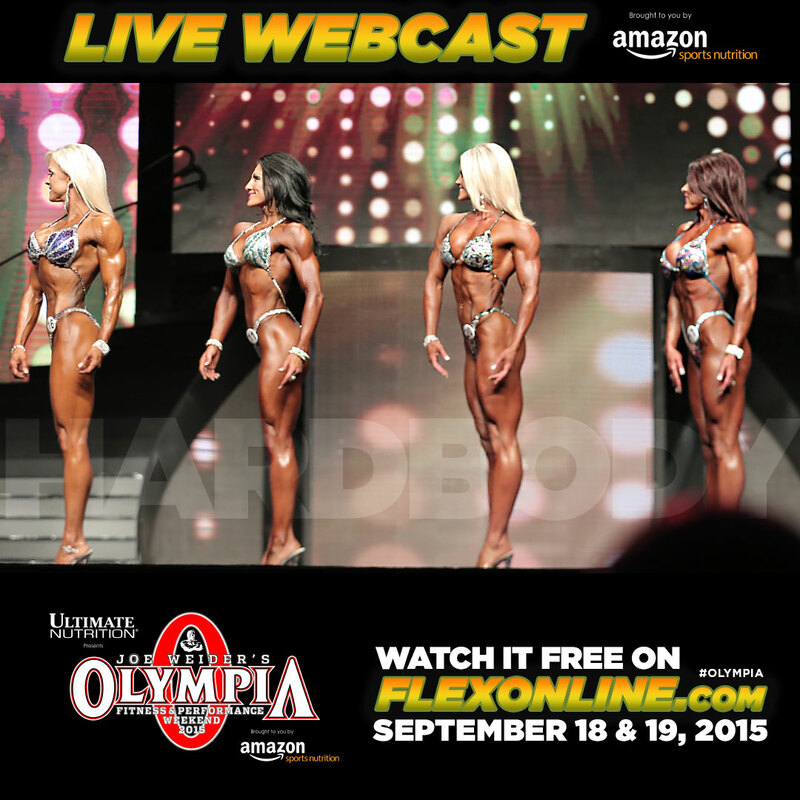 The 2015 Olympia Webcast will be shown on FLEXONLINE.com LIVE and for FREE. The webcast powered by Amazon Sports Nutrition will air live and free on September 18 & 19, 2015. This year’s webcast will be hosted by IFBB Pro Bodybuilder Dennis James. Joining Dennis “in the booth” will be Shawn Perine from Muscle & Fitness for the men and on the women’s side of things IFBB Pro Amanda Latona will help call the action. Yes, you read it right. Amanda Latona will NOT be competing at this year’s Olympia but instead will be on the mic helping with the play by play and color commentary on the webcast. On Friday September 18th the webcast will feature the Bikini Olympia Finals, Fitness Olympia Finals (Routines and Awards) and the Mr. Olympia Pre-judging. Don’t go too far because on Saturday September 19th, the webcast will feature the Figure Olympia Finals, Men’s 212 Bodybuilding Showdown and the Mr. Olympia finals. The live stream will air on 7pm (PST) both nights. The live stream is brought to you exclusively by Amazon.com. Those of you wanting to watch the Men and Women’s Physique will have to attend the show or hold tight for footage to air at a later date. Due to these events being held at the Convention Center Expo Hall there will not be a live webcast. There’s still time to get your Olympia tickets by visiting MrOlympia.com.